If you are fond of the Italian food then certainly you should follow tradition and provide a glass of wine to wash it down your favorite pasta dish. If you’re eating at home you will naturally need to pick up a bottle of Italian wine to provide to cater to family and friends. No one likes to spend a lot of money for a bottle of wine when there are alternatives that taste just as great. If you fall into the price sensitive category but still want a high quality product try Bosco’s Montepulciano d’Abruzzon for under $10. It can be hard picking wine that is going to have a wide appeal. Sometimes wine is too tart, acidity, or carries a poor aftertaste. Price and quality sometimes seem separate. Choosing a wine with softer tastes usually is better for guests. 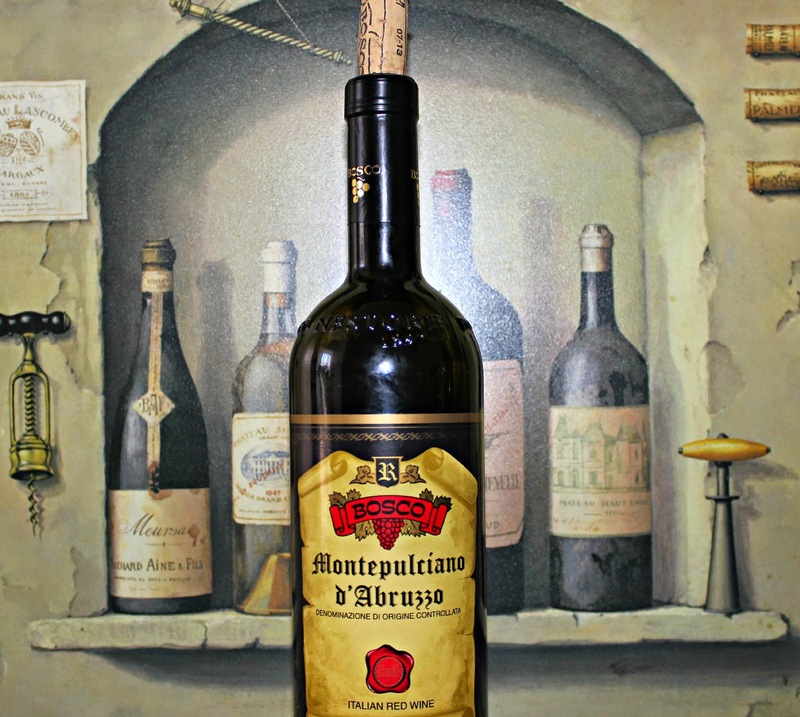 Bosco’s Montepulciano d’Abruzzo (2011) is a Red Wine that is a popular export of Italy. Such wines are made in the Abruzzi region around 9,000 feet above the sea. This area is known for its wine making and wine exports and has a history of high quality products exported internationally. What I liked about this wine was its subtle tastes that didn’t overpower your senses. Mild wines have always been my favorite. That include low tannins and low acidity. This wine is considered dry with a soft overall flavor. Because of its mild temperament it complements most food dishes and makes for a solid everyday table wine. To the nose: Ripe flavors of seasoned grapes. To the palate: Light start, peaked middle and subtle aftertaste. Low acidity and dry. Orange and oak are noticeable. In the glass: Overall smooth texture. Dark Ruby red. Full bodied.